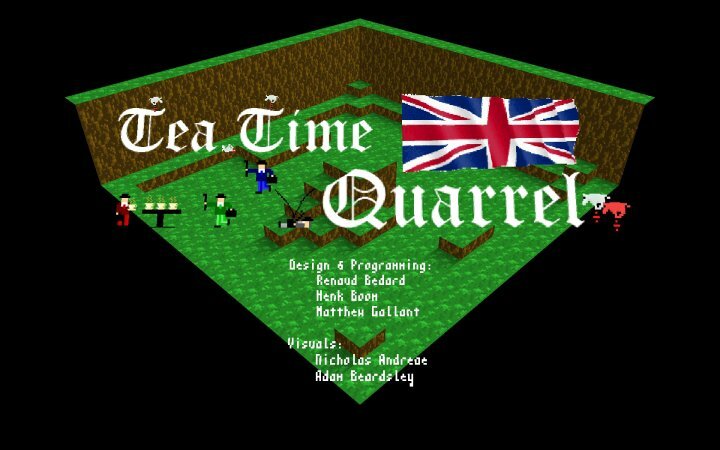 Tea Time Quarrel is a multiplayer party game where the rules are made up but the points do matter. 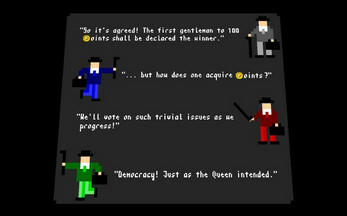 The first gentleman to reach 100 points wins, but the rules for acquiring points are voted on by the players. 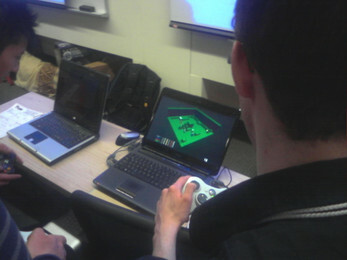 This game was created by No Fun Games at the Toronto Game Jam 2010. The first player to reach 100 points wins. How do you acquire points? 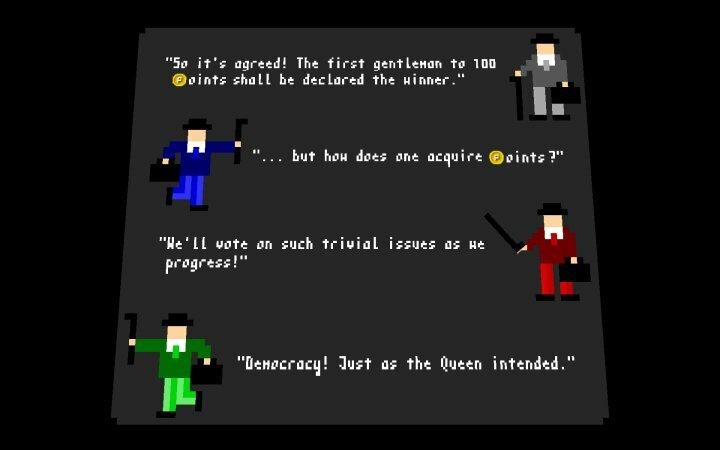 You'll have to decide that for yourselves, using Her Majesty's greatest invention: democracy! The consequence of this rule would be that, at the end of every round, the player who has jumped the fewest number of times overall will have his or her walking speed reduced. 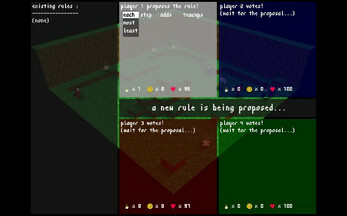 Of course, before a rule is officially adopted, it must be elected by a majority of players. No one will vote for a rule that is blatantly to their disadvantage, so try to be subtle! Furthermore, please note that rules do not trigger other rules. 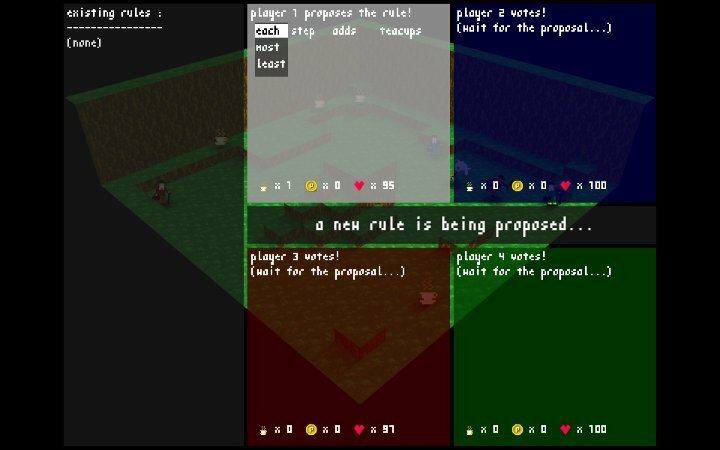 This was done to prevent loops of rules from infinitely triggering. Of course, we alternately could have detected such loops and handled them gracefully, but the TOJam deadline was looming! Tea Time Quarrel is a four player simultaneous multiplayer game. As such, it requires four PC controllers to play. We're aware that this setup will regrettably preclude many people from being able to play it. 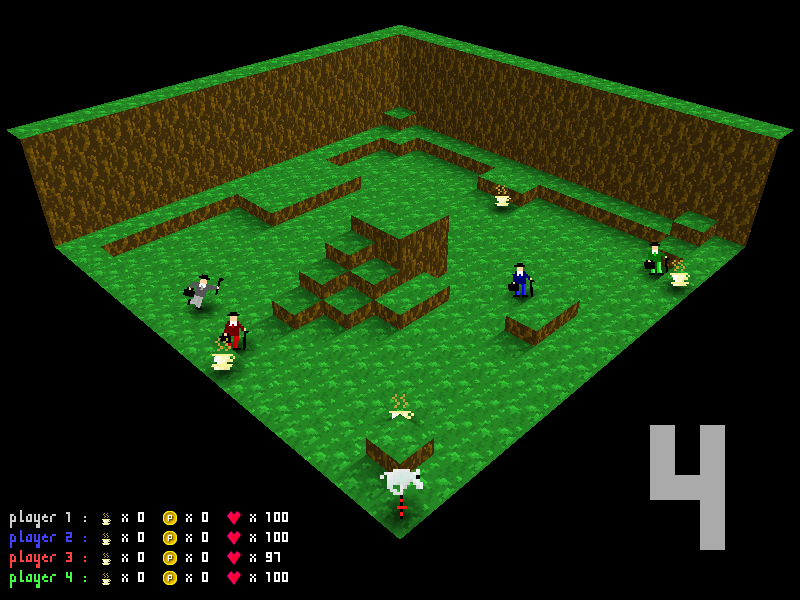 Please accept our apologies; we couldn't think of a clever way to realize this game idea any other way. 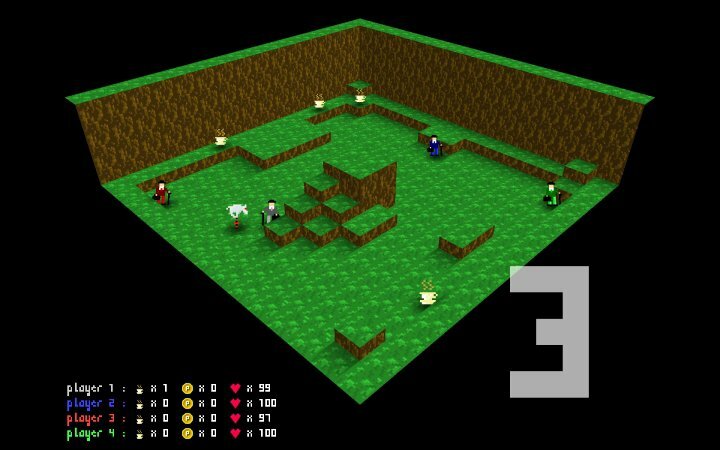 On the off-chance that you're curious about the game but do not own a PC game pad, you can control player 1 with the 'x', 'z' and arrow keys.